Rekenthaler’s article reviewed by David B. How to Survive an Inheritance! * Tutorial: a rapid walkthrough of asset allocation techniques by Greg D.
Please remember to bring your name badge if you have one. Topics outlined above. in the month of September 2018. Read the first post for more information. The next public meeting takes place on September 15, 2018.
except THIS month, when we will meet on the 3rd Saturday! Sacramento, CA Area Chapter - Waz Up? For more informantion, see the last two posts or the text below. 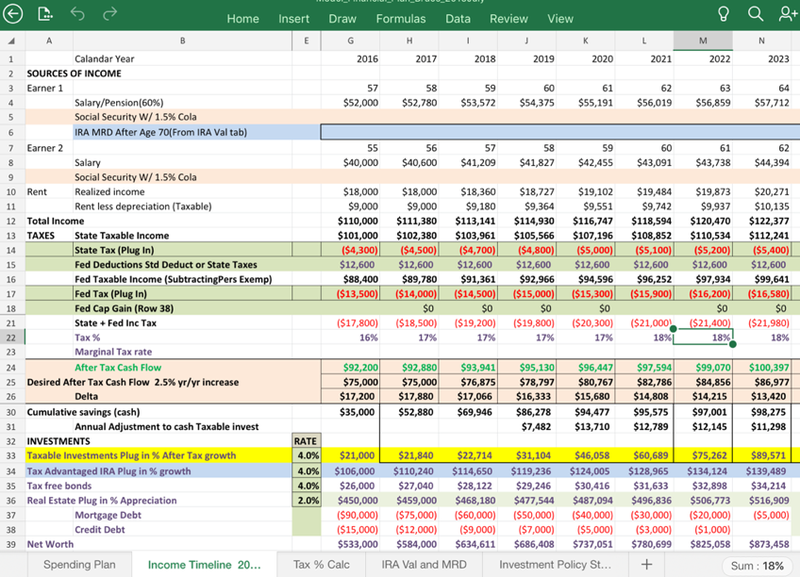 page snapshot showing annual cash flow and a twenty-year financial forecast. 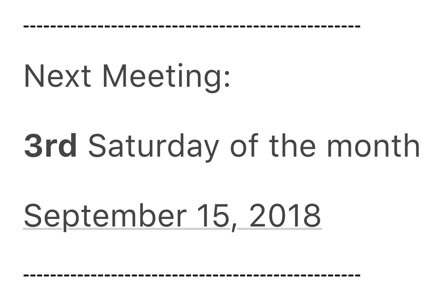 This meeting only: scheduled for the 3rd Saturday of the month. Come prepared to discuss 1 or 2 of your financial goals with the group. We always try to make time to answer general investing questions. This thread has been updated with essential information about Sacramento Area Bogleheads' next meeting on Oct 13. See the first post to learn about the topic scheduled for Oct 2018. RSVP required. If you're a member of this forum and reside in Sacramento or the surrounding area you owe it to yourself to check us out. We're a group of friendly people who enjoy talking about personal finance and investing and you're welcome to join us. about other influences or motivations that helped you reach your present course. Read the first post to learn more! RSVP required. has been updated with new content. This thread has been updated with essential information about Sacramento Area Bogleheads' next meeting on Nov 10. See the first post to learn about the topics scheduled for Nov 2018. RSVP required. where does this chapter meet? Re: where does this chapter meet? I’ll respond with exact location & chapter overview. Sacramento Area Bogleheads meet on the Second Saturday of each month, from 10:30 AM to 12:30 PM. We’ve talked about meeting on Tuesday evenings in addition to our second Saturday event but haven’t drawn enough interest to date. I would be open to facilitating such a meeting if at least five other people want to attend. I'm on the steering committee of the MN Bogleheads group. I have communicated with someone from your group in the past. We would be happy to share information with you if you are interested. You meet monthly. About how many people attend? Do you have set topics for each meeting or do you set the agenda at the beginning of each meeting? I ask these questions because there are six of us on the MN steering committee and we often serve as plenary session leaders and small group moderators. Our meetings are now only 3 times per year because, quite frankly, we have grown to the point where a meeting is a lot of work and we are getting burned out. Average attendance has been in the 80 to 90 range for the past couple years. Information as to how other groups are fairing would be helpful to us as we move forward. I believe we exchanged emails a year or two ago. Did you read my post to the thread in April that covered this (“Improving Local Chapter Meetings” see link below)? We meet more often than Minnapolis but so far have remained a much smaller group, averaging about 15 people each month. 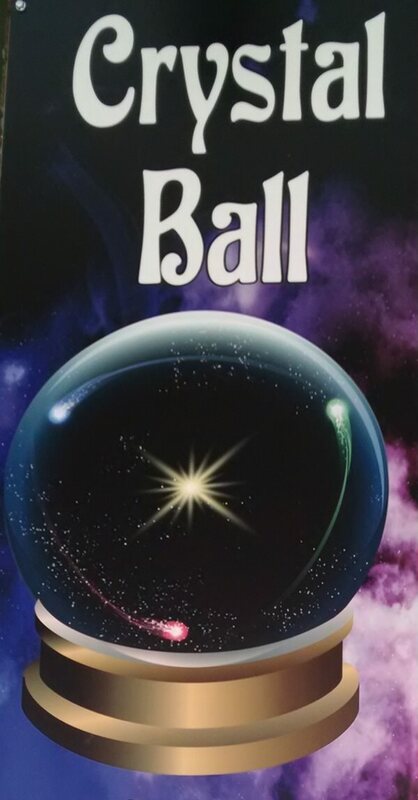 . . . . What Does The Future Hold For You? What are the prospects for your early retirement? 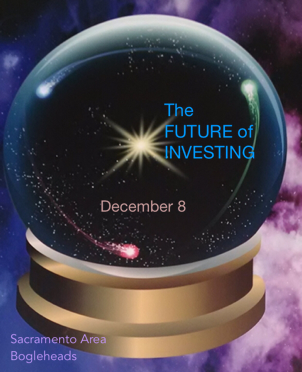 What trends & economic factors will most impact investors? 5 . D A Y S .
and investing each month on Second Saturday. This thread has been updated with essential information about Sacramento Area Bogleheads' next meeting on Dec 8. See the first post to learn about the topics scheduled for Dec 2018. RSVP required. This thread has been updated with essential information about Sacramento Area Bogleheads' next meeting on Jan 12. See the first post to learn about the topic scheduled for Jan 2019. No RSVP required. 3 . D A Y S .
This thread has been updated with essential information about Sacramento Area Bogleheads' next meeting on Feb 9. See the first post to learn about the topics scheduled for Feb 2019. RSVP required. Members who had personal interactions with John Bogle over the years will share their stories with the group; and others who knew him from his books or speeches are likewise invited to give their thoughts and impressions. Last edited by digarei on Fri Feb 15, 2019 7:07 am, edited 1 time in total. Feb 9 meeting this coming Saturday, please do so as soon as possible. We currently have 25 30 persons confirmed for Saturday's meeting. Last edited by digarei on Tue Feb 05, 2019 2:53 pm, edited 1 time in total. We have exceeded the room capacity with the number of RSVPs for our upcoming meeting on February 9. Apologies to those who were unable to confirm before today. Our next meeting is scheduled on March 9. We are in the process of looking for a larger room for future meetings... please check back soon. Thanks to everyone who attended today’s event. We expected a large group but didn’t realize that 26 of us meeting together would fog up the windows! Special thanks to those who drove an hour (or two, or three) to participate. 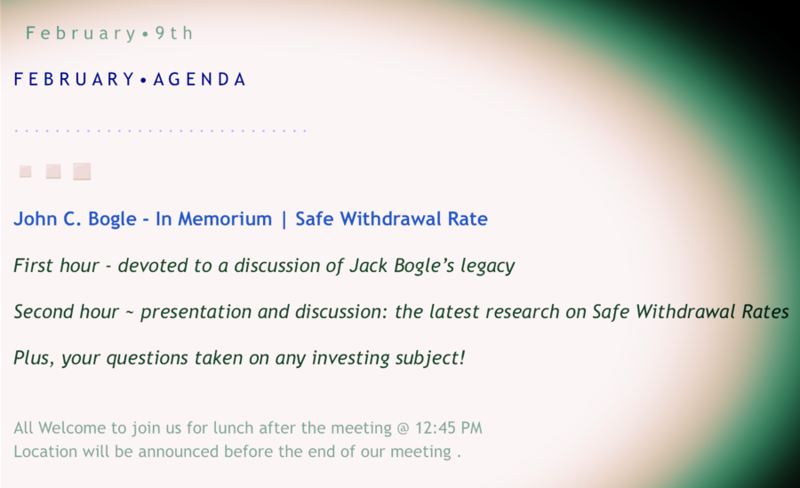 David B gave an excellent presentation on the research behind Safe Withdrawal Rates and a number of people spoke about what it means to be a Boglehead, Jack Bogle’s legacy and what it means for investors. History will favor the ideals, principles and tenacity of John Bogle. His dogged pursuit of corporate honesty and accountability, and his insistence that the (average) retail investor be accorded a fair return on their money alone made this flawed human being exceptional and significant. He was certainly a paradox, capable of exhibiting an ego of prodigious dimension and at the same time impressing those he met with his humility and self-effacement. Both attributes seemed genuine. We will miss the intelligence and candor evidenced in his writing and speaking but also his amiable personality and generosity. Will we still be calling ourselves “Bogleheads” five years from now? — or will this designation fall into disuse over time? Most of those present felt the appellation would survive but not everyone agreed with the first definition proposed: ‘To be a Boglehead is to be frugal.’ The majority felt this to be a sound statement, albeit incomplete. A few of us protested: not all Bogleheads are frugal. We did agree that Bogleheads are strongly predisposed to living beneath their means. Does being a Boglehead imply discipleship? The coordinator thought that this carries things too far. What do Bogleheads practice? Many of us invest in index mutual funds—but not everyone. Buy and hold? Uh, huh. Low cost investing? We came close to reaching consensus on this one; it’s important to manage cost. After the meeting was adjourned, a sizable contingent met for lunch/beer at Centro Cocina Mexicana on 27th & J Street. 1 Economist Milton Friedman likely coined this. Nixon adopted it as conventional wisdom. 2 Jack was confident that US investors need not invest in international equities, that US businesses would continue to perform into the future. So far, at least in recent years, he’s been right. Some day, this advice may not be as relevant. ‘Bogleheads’ seek to understand investing and, like Jack, always entertain the possibility that they could be mistaken. 3 ‘No sacred texts’ but there are some darn good quotes, many authored or adapted by John Bogle. 4 Links to the meeting audio, presentation slides and SWR spreadsheet were e-mailed to members on Feb 10. Next meeting is in 28 days .... on March 9, 2019. This thread has been updated with essential information about Sacramento Area Bogleheads' next meeting on Mar 9. See the first post to learn about the topics scheduled for Mar 2019. RSVP required. The FIRST Saturday of the month... in midtown. This thread has been updated with essential information about Sacramento Area Bogleheads' next meeting on Apr 6. See the first post to learn more about the topics scheduled for Apr 2019. RSVP required. 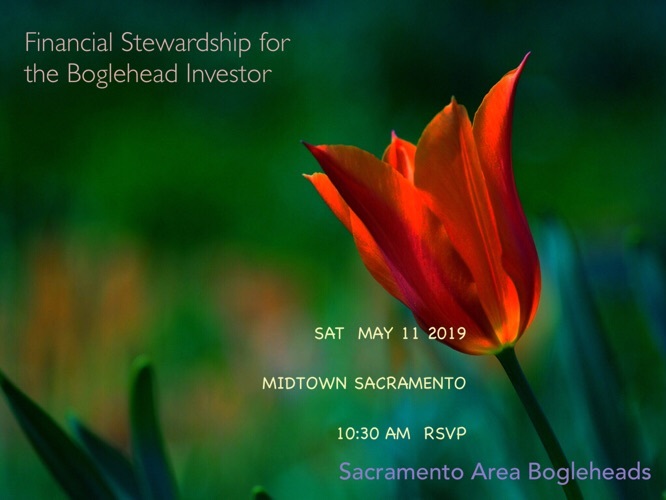 from today the members of Sacramento Area Bogleheads will be meeting in midtown. 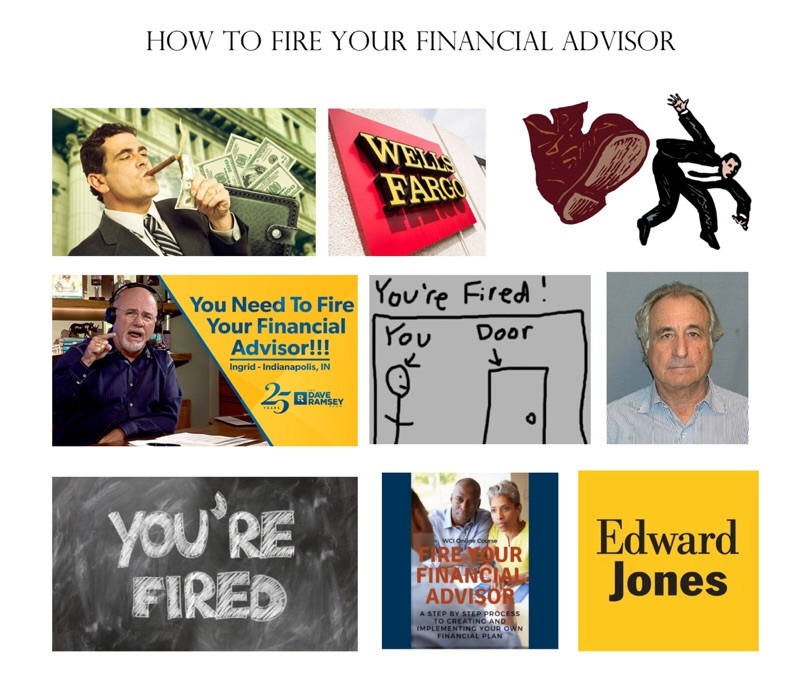 We meet to discuss all aspects of personal finance and investing each month. . . 21 people have confirmed as of today. There’s still room for a few more. This thread has been updated with essential information about Sacramento Area Bogleheads' next meeting on May 11. See the first post to learn about the topics scheduled for May 2019. RSVP required.